Moira Tierney’s film "Down Clairborne" examines one of the most striking aspects of New Orleans’s topography: a highway that cuts right through the city, slicing through, among others, the historic 7th Ward. This is also the starting point for the film installation Highway Gothic by Ellen Gallagher and Edgar Cleijne presented in the exhibition Liquid Intelligence at WIELS. 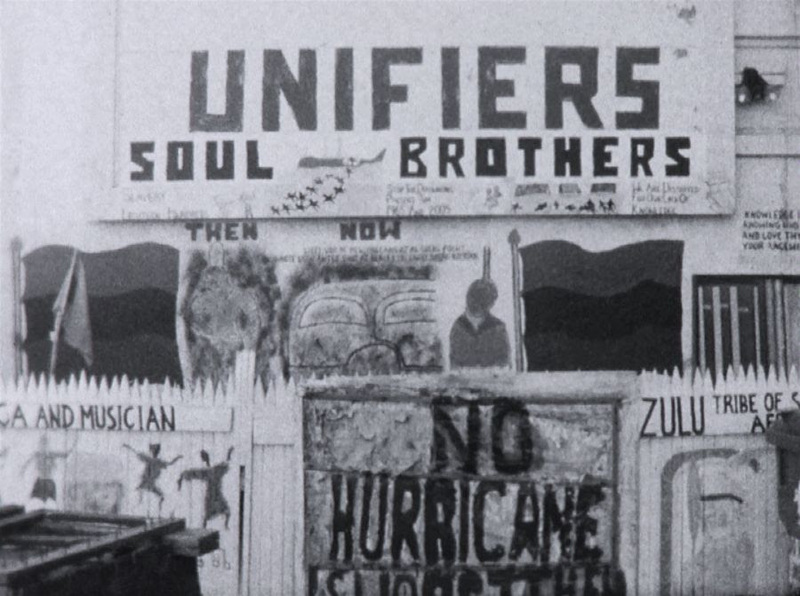 Built in 1968, it dismantled one of the most active Black neighbourhoods, which still operates under the shadows of the “freeway.” The local community reclaims their neighbourhood using a variety of tactics: mural painting, represented by the frescoes painted onto the concrete pillars supporting the highway overpass, and collective masking traditions, as evidenced by the Mardi Gras Indians, in the neighbourhoods surrounding the highway. These two elements of local culture share an insistence on the importance of history, highlighting its role in the perpetuation of the culture and in the ongoing resistance to its displacement. Their content often overlaps (the highway frescoes reference the Mardi Gras Indians as well as the Maroon tradition of runaway slaves and Native Americans forming independent communities) and both operate within the post-colonial “profession of hybridization,” as defined by Haitian poet René Depestre. Tierney’s "Down Clairborne" zooms in on the Mississippi and down into the Treme, slides under the highway overpass and moves down Claiborne Avenue from pillar to pillar, building to a celebratory and cathartic climax with the Comanche Hunter and Hard Head Hunter tribes of the Mardi Gras Indians meeting in ceremonial battle on Mardi Gras.